The LinkedIn Recruiter Talent Pipeline was first rolled out in 2012. 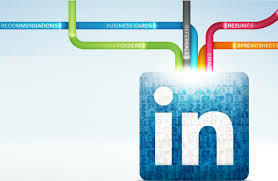 It is included in the LinkedIn Recruiter (LIR) subscription at no extra charge. In my mind, Talent Pipeline is one of the best LIR features; I have used it successfully for sourcing projects in numerous industries and locations. However (based on our teaching Talent Sourcing and talking to many LIR subscribers), it seems that Talent Pipeline remains under-utilized. I suspect that the reason for not using this additional sourcing power is that Recruiters tend to see Talent Pipeline as a substitute for an ATS (applicant tracking system). Talent Pipeline is described as a way to “Centralize all of your talent leads”; this way it probably doesn’t generate enough interest from Recruiters who do not want to centralize their talent data databases using LIR. A decision to purchase a LinkedIn Recruiter subscription is up to every organization; there are many factors to consider, and this post is not a recommendation to invest in it. But if you are already a LIR user, don’t overlook the tool! Talent Pipeline provides incredible ways to source, without necessarily putting LIR at the center of keeping your data and tracking communications. The Pipeline can serve both to help to build a pipeline of potential candidates and to (almost) instantly find and reach out to prospects. For those with a LIR subscription, this is the entryway to the Talent Pipeline; it is a link to upload your data. (If you don’t have LIR access, the link won’t work). The data for uploading must have email addresses; LinkedIn merges your data with the corresponding LinkedIn profiles (if they exist). As an example, you can upload an Excel file containing email addresses and phone numbers. Relying on email addresses for combining the data guarantees that it’s done correctly. LinkedIn will not identify the person if he or she is registered with a different email address on LinkedIn than the one listed in your file, but if it does find a match, it does it right. By uploading external data you enrich the standard LinkedIn profile data (name, title, company, location, etc.) with email addresses and, optionally, extra data, such as phone numbers. Now you can search across the two sets of data: LinkedIn’s data and the data added to LIR by you and your colleagues. Here is an example of using the Talent Pipeline for sourcing and contacting Software Engineers that shows how you can get instant results. The approach is applicable to other industries and job titles. Next, collect the visible email addresses of these GitHub users into an Excel list and upload to LIR using the Talent Pipeline. Uploading takes a bit of time, that’s why I said you can “almost” instantly search within the data. By searching the uploaded set, you can narrow it down to Developers who work at target companies, have the desired number of years of experience, etc. You can exclude those who cannot be potential candidates, for example, full-time students and members whose job titles show that developing code is not their main job function. Not looking for Developers? Quite similarly, you can upload lists of people from other sources and search across the combined data. In addition to searching within the enriched data, you are getting an additional benefit, that adds power to your LIR account. Because you have uploaded email addresses, you can “InMail-Message” these potential candidates without spending any InMail points. While LinkedIn Recruiter has bugs, their customer support is not responsive, and our user experience is way far from being perfect – the Talent Pipeline has worked well for us and seems quite scalable (knock on wood!) – we have uploaded tens of thousands of records. That additional data has made our sourcing much more informed and precise. If your company is providing you with LIR access, the Talent Pipeline is not to be missed. Using LinkedIn Recruiter? Don’t miss my upcoming webinar – Mastering LinkedIn Recruiter.